Sivir's been in a bit of a tight spot lately. 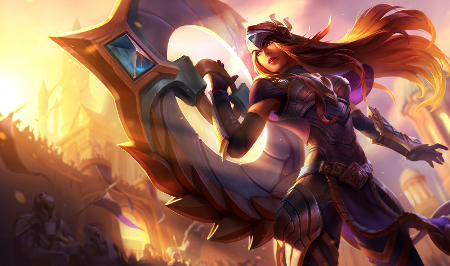 Hypercarries like Vayne and Twitch keep getting all the play time, while Sivir's lack of a synergizing keystone mastery keeps her out of the meta...until now. 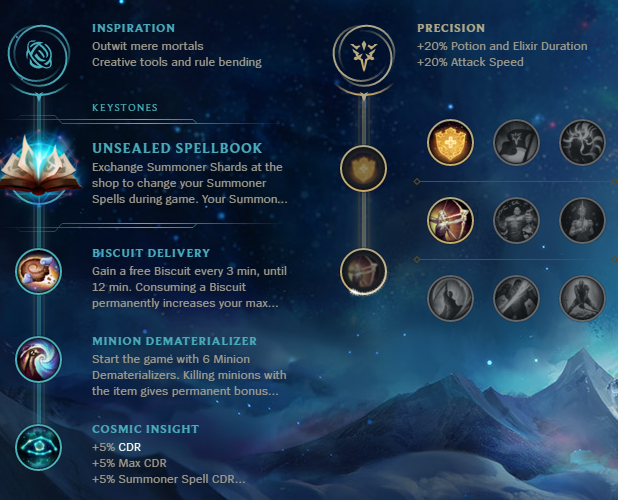 Unsealed spellbook unlocks two of Sivir's greatest assets, her survivability and her crazy wave-pushing power. Read on to find out why it works, how it works, and why it's working now! Sivir's been in a bit of a tight spot lately. Hypercarries like Vayne and Twitch keep getting all the play time, while Sivir's lack of a synergizing keystone mastery keeps her out of the meta...until now. Unsealed spellbook unlocks two of Sivir's greatest assets, her survivability and her crazy wave-pushing power. Read on to find out why it works, how it works, and why it's working now! Unsealed Spellbook: This keystone grants the 25% summoner spell reduction and spell swaps. Biscuit Delivery: This could be replaced by Perfect Timing, but for the most part Sivir has a very safe laning phase and shouldn't have too much trouble surviving. Pick based on the enemy team composition. Minion Dematerializer: You could replace this with Magical footwear, but for a split-push monster like Sivir, this rune helps you one shot waves sooner. This maximizes her strengths and allows her to reach her peak potential. Cosmic Insight: I've seen some people go Celestial Body instead, but I think in almost every scenario Cosmic Insight will be better on Sivir. If you're going against a Draven/Leona or similar kill lane Celestial Body could be worth it. Overheal: This keystone allows you to abuse the relic shield meta, giving Sivir more suvivability than ever before. Legend:Alacrity: I've seen some people go Bloodline, but this allows you to go crit build instead of getting more attack speed items. As one of the safest laners in the game, Sivir can safely waveclear for the majority of laning phase without Fleet Footwork's sustain. Against other Targon + Fleet Footwork users, it's especially easy since the enemy laner has lower kill potential than a traditional Doran Blade player. Sivir's farming abilities are extremely good and none of the other keystones are particularly strong on her. Running Inspiration allows her to focus on her strength, which is out-farming the beezus out of the enemy laner. Even though Sivir doesn't use a Precision keystone in this setup, the Overheal rune is still available as a secondary tree. This allows her to use Targon's effectively enough to abuse the current relic shield meta, same as the other marksmen. The cooldown on summoner spells from unsealed spellbook allows her heightened survival skills which accompany her base ones quite nicely. With flash up during every fight, she's near impossible to kill when combined with her spell shield. By swapping to teleport when necessary, she also gains immense map pressure as she one-shots waves and mows down turrets. Although Sivir can make up for the damage difference by way of gold advantage, during the late game she may suffer after maxing out on items along with everyone else in the game. However, since most games are ending before that point this shouldn't be a major issue. Sivir in her current state lacks the qualities you expect out of the top tier marksmen in the hypercarry meta. However, if she finds her own niche, she could take over macro play and win the game all by herself. Expect her to quickly rise up if the other marksmen or Fleet Footwork gets nerfed! What do you think about Unsealed Spellbook Sivir? Comment below!